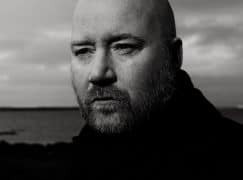 It has emerged at the Berlin Film Festival that the Icelandic composer Johann Johannsson was working, at the time of his death last weekend, on a score for Christopher Robin, an animation film based on A.A. Milne’s Winnie the Pooh books. Police in Berlin have ruled out violence or foul play as possible causes of the composer’s sudden death. It will be several days before the results of post mortem blood tests are known. Johannsson, 48, has been described as a workaholic who lived night and day for his music. Music is a health risk. Has Philip Glass been asked to compose the soundtrack?